Is Martian Manhunter Getting His Own DCEU Movie? With Justice League hitting theaters this weekend, the DCEU is hoping for another big hit along the lines of Wonder Woman, and while the reviews may not be the best (40% on Rotten Tomatoes), there is still plenty of improvement and growth within the DCEU. While promoting Justice League, producer Charles Roven was asked which of the numerous other characters from the DC Comics he would like to see have their own movie. Here's what he had to say, when asked what the "most unusual property in the DC toy box" could make for a good movie. "I wouldn't necessarily say that I would rather do that character, because we know that there is going to be a Flash movie, we know that Aquaman is being done, I think that Cyborg deserves his own movie too, and I know that the fans are out there screaming for Green Lantern, that's for sure. But I was always a fan of J'onn J'onzz, Manhunter from Mars." While there haven't been any official talks about a Martian Manhunter movie, there was a rumor last August that Martian Manhunter may appear in Man of Steel 2, but that was never confirmed and it isn't clear when that project will even come together. It would be interesting to see how the character would be portrayed on the big screen, especially since there is already a TV version of J'onn J'onzz on The CW's Supergirl, portrayed by David Harewood. Warner Bros. has made it clear that there is no connection between the TV and movie worlds, but it would still be interesting to see how these characters would differ between the big screen and small. The Martian Manhunter character was created by writer Joseph Samachson and artist Joe Certa, first appearing in the November 1955 story "The Manhunter from Mars" in Detective Comics #225. Martian Manhunter was one of the original members of the Justice League, alongside Superman, Aquaman, Flash, Green Lantern, Batman and Wonder Woman. While Green Lantern has yet to emerge in the DCEU, he will ultimately be revealed sooner or later, but when the original Justice League lineup was revealed, many were surprised that Cyborg took the place of Martin Manhunter. We later learned that Cyborg was actually at the heart of this Justice League story, and his connection with the Mother Boxes, but now that this DCEU team has been established, it's possible that the studio may be looking for ways to integrate Martian Manhunter into this universe. Still, the DCEU is just getting started, although there was a report from June that revealed the success of Justice League will determine what will happen with future DCEU movies. If the movie fares worse than projected, it could mean that Warner Bros. may re-evaluate how to approach the DCEU, which only has one true critical and commercial hit with this summer's Wonder Woman. 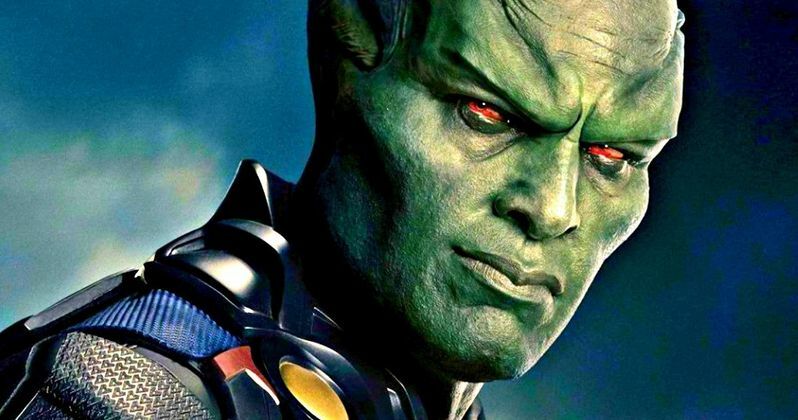 If Justice League fails to deliver at the box office, it may be unlikely that a Martian Manhunter movie would happen, but if it proves to be a hit with audiences, we may just see J'onn J'onzz on the big screen at some point. In the meantime, you can check out Comic Book Resources for their interview with Charles Roven.